ap inter results 2019 2nd year are going to release in the month of April 2nd week -2019. www.Manabadi.co.in the leading educational website, will be releasing the results with the courtesy of Board of Intermediate education Andhra Pradesh (bieap) in this official page. 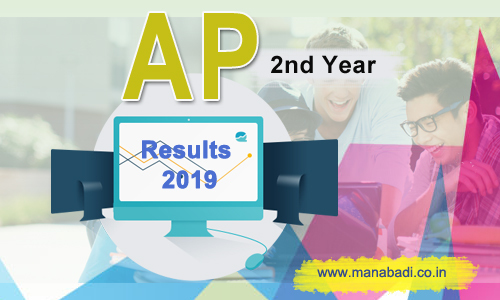 ap inter 2nd year results 2019 students can check their results in Manabadi.co.in and bieap.org website. ap inter results second year for Second Year was the key resource for inter 2nd yr students. Before going to know about ap Inter 2nd year results, itâ€™s better to know in detail about bieap, inter 2nd year exams, how to get information about inter results fastly and other things in this article. The Intermediate Education (also known as Higher Secondary Classes â€“ HSC) is a two-year course conducted by Board of Intermediate Education Andhra Pradesh (BIEAP). The board currently offers a whole of 85 streams/courses (based on subjects you choose) that you can choose to study. The very common and widely known and opted streams include The Intermediate Education (also known as Higher Secondary Classes â€“ HSC) is a two-year course conducted by Board of Intermediate Education Andhra Pradesh (BIEAP). Most of the websites try to build wrong information that they are providing results on name of Manabadi. We suggest our viewers to go to manabadi.co.in or www.manabadi.com sites directly and check for AP Inter 2nd year Results 2019. The First Year Intermediate exams will start on February 27, 2019 and will continue till March 18, 2019. The Second Year Intermediate exams will begin on February 28, 2019. The practical exams will begin on February 1. A total of 10.6 lakh candidates across 2800 centers across Andhra Pradesh , are expected to take exam this year. The Practical Examinations will be held on 1st February â€“ 20th February, 2019 (including Sundays) in Jumbling System. How to download the AP Intermediate 1st/2nd year Hall Tickets? The AP Intermediate Hall Ticket for 1st year and 2nd year examinations will be accessible to download from 2 weeks before the examination. Students can download AP Intermediate Hall tickets 2019 from the BIEAP Official website, bieap.gov.in/jnanabhumi.ap.gov.in. Students who are appearing in AP Intermediate exams must visit the website i.e. jnanabhumi.ap.gov.in/bieap.gov.in. You will find the direct link of â€œIntermediate Hall Ticket Download 2019 for 1st year and 2nd yearâ€�. Click on the link. Select how to download By Registration/By College Code. Enter required info like Registration number and Date of Birth if you select download by registration or enter College code for download intermediate Admit Card by name. Click on Download. Hall Ticket/Admit Card will appear on your device. Save and take print of your Admit Card. Keep a copy of AP Intermediate Admit Card 2019 for future reference. After downloading the hall ticket, once check through it for more details such as examination hall, venue, dates and timings of the examinations from it. Also, make sure to check the studentâ€™s name, fatherâ€™s/motherâ€™s name, hall ticket number, date of birth, signature, photograph details that are printed on hall tickets. Students can verify all the details once after downloading the hall ticket. 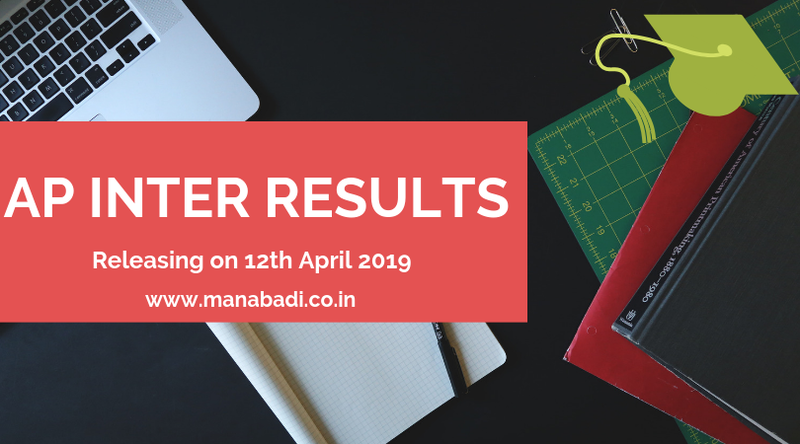 How Manabadi release inter second year results 2019 - Sr Intermediate results 2019 Manabadi.com is the leading educational website in Andhra Pradesh and Telangana which provides inter results from last 13 years. Manabadi has high infrastructure which is capable enough to provide accurate inter second year results to the students who were around 4.5 Lakhs for the year 2019. As per the Principal Secretary, Board of Intermediate Education Andhra Pradesh (BIEAP), AP Inter 2nd year results 2019 are expected to be released April 2nd week. as per the Board schedule. The results can be available on its official web site. The BIEAP is usually conducts Intermediate exams in the month of March and releases results by the Month of April. The average connectivity time for every user for AP Inter mediate Results 2019 are 120 seconds. Most importantly don't block your images in the browser. Manabadi site will not load fastly or completely. So we suggest don't use any plugins or images blocking tools especially on Inter second year Results 2019. There are various competitive examinations for different degree courses- Medical, Engineering, Navy, Merchant Navy, Defense, IAS, Civil Service SSC, IB etc. You can choose based on your academic qualification. How to get 2nd Year Results AP 2019, sr intermediate 2019 results, IPE results, Bieap results, board of inter results information to your Mobile or Email? What is the date the results come out? Inter 2nd year result in 2019 . When . Fixed data or any change. Is BIEAP going to release the marks of intermediate 2nd year board exam or there will be grading tem too?? A.p inter supply results date and time in 2018 com. Plzzzzzz AP Inter 2nd Year Release The Exam Results.